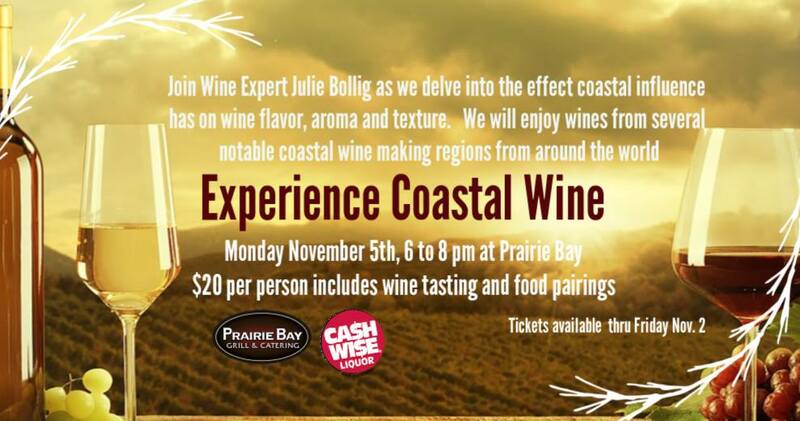 Join us for our next Wine Class as we EXPERIENCE wines from several coastal wine making regions around the world with Wine expert Julie Bolig. We will dive into the effect coastal influences have on wine flavor, aroma, and texture. Wine and food pairings created by our Head Chef Jenna.